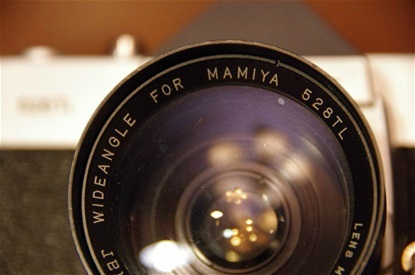 Mamiya was founded in 1940. They soon started producing 6x6 cameras and did so throughout the 40s and 50s. 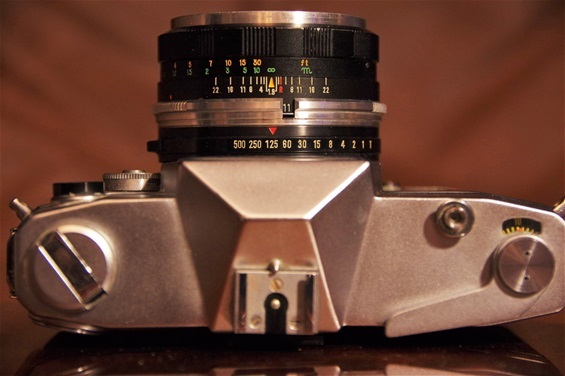 Their first PP SLR was market ready in 1961 with the name Prismat. 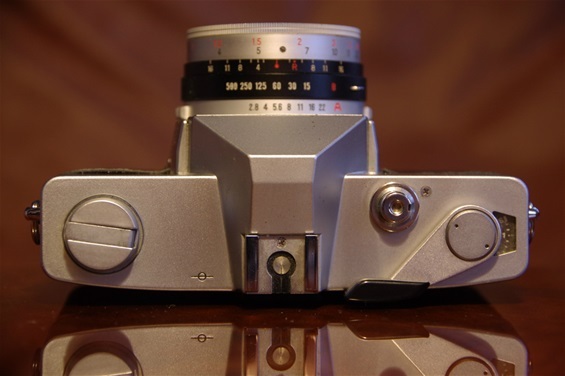 However, according to http://herron.50megs.com/prismat.htm , they had a prototype ready in 1952 called Prismflex, and another called Pentaflex in 1955. 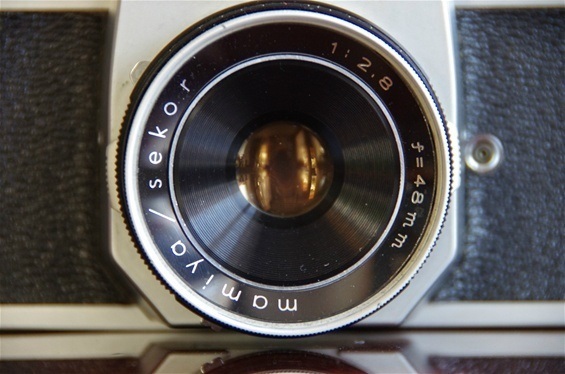 (Now, that is very strange, as Tokiwa Seiki produced a Pentaflex, too, in 1955 with central shutter and looking very different from what the picture or drawing of the Mamiya shows.) Why it took so long to produce it for the market, especially when others already were there, is hard to say. Anyway, Mamiya produced different Prismat models until 1966, when the new TL series came with TTL metering. From 1968 the DTL took over. 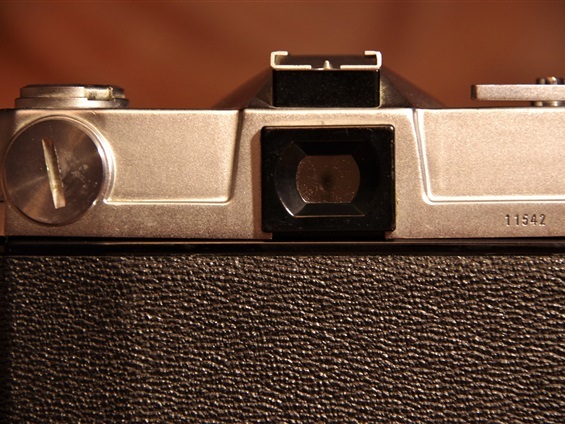 This was the first camera to give the user the choice between average and spot metering. This series was probably their most popular one. Then followed the XTL, X-1000, MSX, DSX, NP 1000 and Z-series. 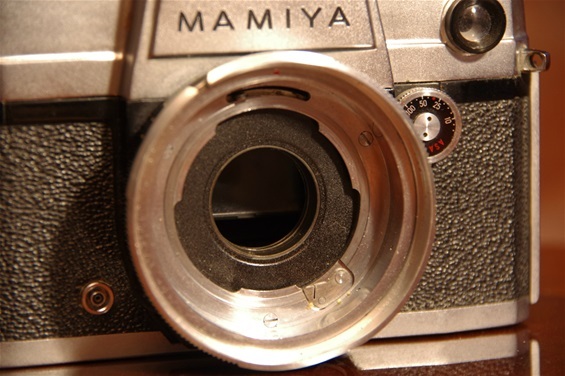 Mamiya changed mounts several times, making it difficult to bring old lenses to new cameras. From the first Prismat NP mount via a breach lock for the Prismat PH and CPH to the M42 on the CP in '64, still M42 on TL, DTL, MSX and DSX, then a new mount on the NC 1000 line, and finally another new mount on the Z-series. 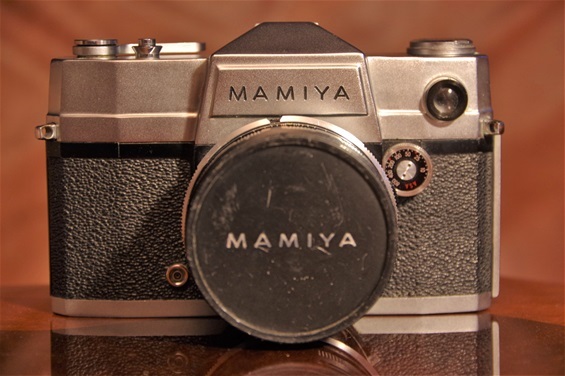 In addition to this, Mamiya produced some beginners PP SLR with fixed lenses from 1962, the so-called Family, then the 528 TL in '68 and the 528 SL in '75. Mamiya was innovative but was not paid back. The sales were not as expected, and when their worldwide distributor Osawa went down in 1984, the whole Mamiya company went with them. They were reorganised the year after but gave up 35 mm cameras to fully concentrate on medium format cameras. So, it was back to start. 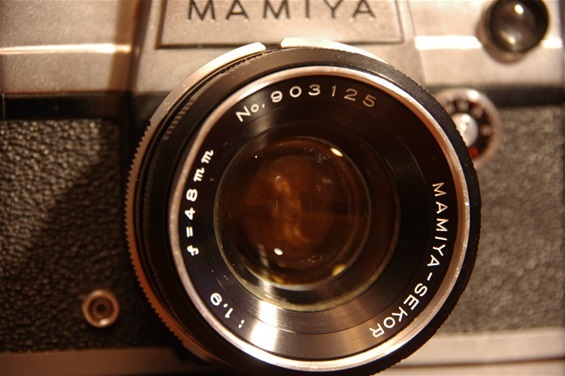 Since then, they have reorganised again, and the new company, now controlled by Danish Phase One, is still producing digital medium format cameras under the name Mamiya Leaf. Mamiya Prismat CPH of 1963, a rather rare camera. Light metering through the eye at cameras upper left front, very much like the Minolta SR 7. Weight: 675 gr. Size: 147x93x60 mm. Sn. : 11542. Clean and practical top plate design. Fixed flash socket. A breach lock mount, only on the late Prismat series. 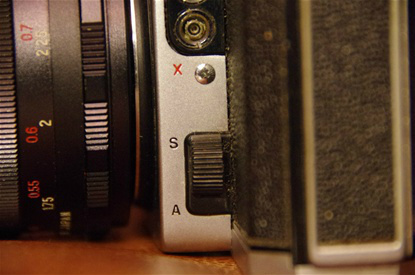 ASA setting on the front dial under the metering eye. 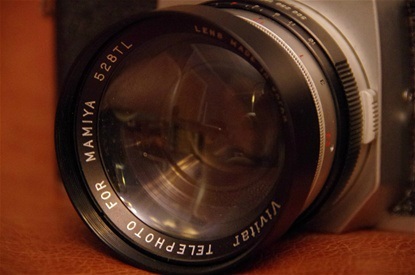 This Mamiya-Sekor lens featured a somewhat unusual 48/1,9. Sn. 903125. 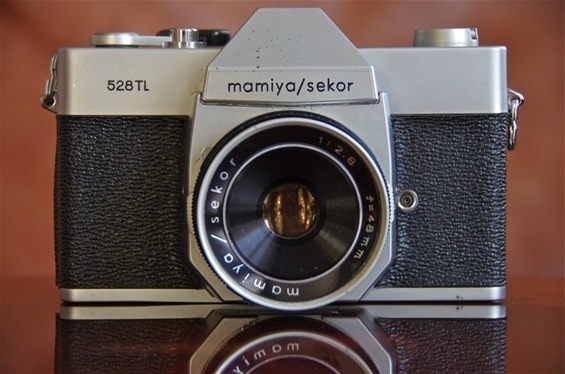 My first PP SLR, produced from 1968 and purchased in 1969, was a non interchangeable lens Mamiya/Sekor 528 TL. A light beginners camera with only the necessary features. Weight (with lens): 616 grams. Size: 140x89x50 (79) mm. S/n: M 131020. A straight and simple layout. Shutter times to be set by twisting the inner ring on the lens. A Mamiya/Sekor fixed lens, 48/2,8. A wide angle converter from Vivitar. 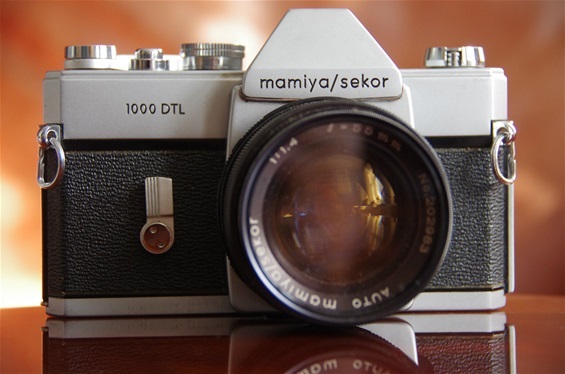 Mamiya 1000 DTL had great success as the first camera to offer both average and spot metering. 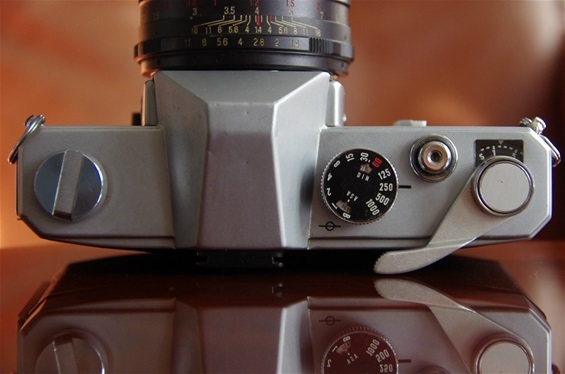 But the competition was hard, and the company stopped 135 PP SLR production during 1984 to concentrate on medium format cameras. Weight: 730 grams. Size: 149x93x44 mm. Simple and classic layout for handles and control. 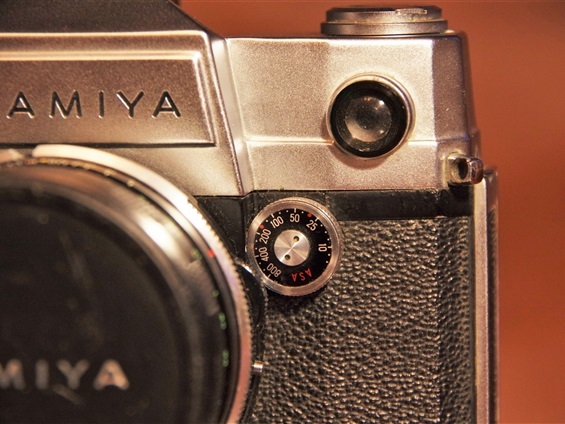 Mamiya was the first to offer both spot and average metering. Here is the switch.